In these extraordinary poems, Ray Clark Dickson 'delivers the music of restless explorers going off for story and returning with poems,' to paraphrase Kevin Clark, Poet, Critic, English Professor, Cal Poly, San Luis Obispo, CA. 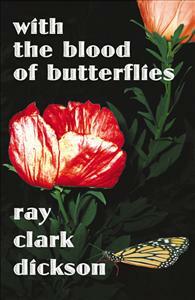 Ray 'insists that the world has many astonishing, sustaining beauties.' His deep understanding of our frail humanity is expressed with great humor and wit and, sometimes, immense sorrow, even anger. Never condescension, but always love. His earthy sensuality propelled by jazz-driven rhythms delivers wondrous poems dancing with that love. This is a must read for anyone whose heart and mind is open to poetic expression.